One of my fans asked where they could cut back in the budget to save more money as they weren’t putting any emergency savings money away. This actually got me thinking about our budget. What if I had to cut money in our budget and what were the first categories I would look at. Clearly we can’t make any changes to the “Fixed Costs” in the budget. Fixed costs are costs that are the same each payment. So the only other option is to look at the “Variable Costs” and see where we could make adjustments. Sometimes the top reasons people go into debt are simply because they are not budgeting and not being mindful of where their money is being spent. This task perhaps may be overwhelming for some yet we continue to get overrun with excuses and reasons why they simply can’t do it. They justify each expense and then give up working towards their goal of saving or paying down debt. You have to be motivated and willing to go without sometimes to reach a goal. Well I’m there (Mr.CBB) to test,to guide,to get them thinking and to have them attack their finances like they would if I handed them one of my chocolate fudgy brownies. In most cases no one is going to light a fire under your arse so you need to take the reigns and make these changes. There are always other alternatives, sometimes free alternatives if you take a close look. Even your neighbours might benefit your budget keep an eye out for the handy man up the street. Groceries- I had to visit this category in 2012 as we were spending upwards of $500 a month for 2 people. We were using coupons and stockpiling but at the same time spending far more than we needed to. You have to ask yourself when enough is enough because even if you are getting good deals you may be spending more than you will ever need. I think we have around 100 Jugs of laundry soap. Do we really need any more? Or enough bars of soap to last a life time. Taxes add up, so if you don’t need anymore- Don’t BUY it! Simple. Cable/Internet/Cell/Home Phone– I examined our internet usage and realized we didn’t need the high-speed package as we simply weren’t using what we were paying for. 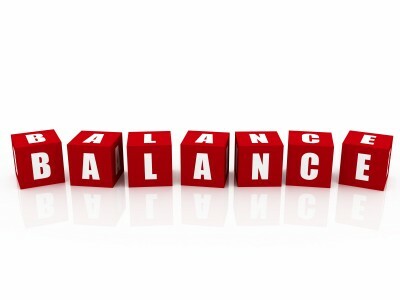 You can bartar with your communications company to lower your bill or simply cancel if it’s too much for your budget. You will survive, and this is a big area where people spend a chunk of money each year. We spend around $2000 and that’s with the best deals I could negotiate. Like one of our readers JoAnne M. Hurst says, “I cancelled cable tv in September, I don’t have a cell phone and never have. I watch movies and tv shows through my computer. Clothes- This was an easy one for me as you can simply go to second-hand shops like Value Village or search Kijiji or better still Freecycle. There are many people willing to work together on freecycle to help each other out. You would be amazed at how much money you can save in the budget by being thrifty. Pay Down Debt- The easiest way to free up money is to get rid of your debts as soon as possible. Once you rid of them you now have more money to divide to other categories. In most cases people are trimming their budget simply to pay off this debt. If you are not then you are costing yourself more money in interest by not vesting an interest in this category whilst trimming others. Bring a Lunch to School or Work- If I was the type of person that ate out for lunch everyday and picked up a Cafe Mocha in the mornings I would stop this. Although I don’t do this many people tend to overlook the small stuff. This cost adds up. One Facebook Fan Lisa Stockwell says “We figured out in 1 week (7 days) we spent over $40 just at Timmies! That’s disgusting! You do the math… yep, that’s over $2k a year wasted on coffee! These are just examples of areas I would look at in our budget if needed. There are more areas where we would simply have to step back until we could either make more money or pay off debt. This is the hard part for people to grasp as it makes some feel inadequate as a provider so they do whatever they can to provide for their family. Even if that means going further into debt. I also coupon as much as I can and hunt for freebies online. Tonight I found out how to get my son the new glasses he needs… for only the cost of SHIPPING! I saved myself about $80! 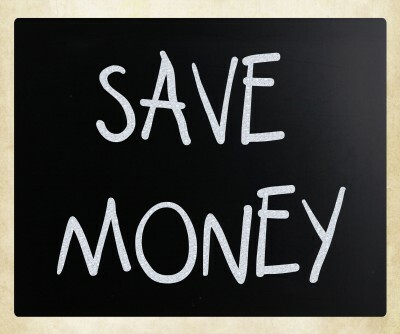 What ways can you think of to save money in your budget if you had to? You can find Canadian Budget Binder on Twitter HERE or Facebook HERE.. Come join in on the conversation. Are Blue Recycle Bags Costing You More Money Than The Blue Bin? Keeping The Costs Down- Spring Cleaning In The Canadian Sunshine! Canadian Credit Cards Can Provide Some Great Perks! What’s your cup of Tea? Some interesting ideas here. We have looked at the cable bill but it’s not going anywhere at this time. We did add our landline to the Rogers bill and Bell won’t be happy about that…. too bad Bell. I have been working with the Grocery Challenge to try to get and keep the grocery bill down. Except for this past week it’s been good. I do stock up on basics but I try to keep it within limits of what we will use in a reasonable amount of time. My coupon binder goes a lot of places!! We live across the street from a grocery store so I save on gas for our truck there. I figure a little here and a little there will add up to a nice amount. My boys help me with what ever needs doing so that’s a help too. They get a big kick out of the envelopes that show up with coupons for Mom!!!! The coupons might mean something good for them to eat!!! The good thing is you are teaching your boys that money doesn’t grow on trees and that they can save too! Good post Mr. CBB. There’s an old saying that if you mind the pennies, the dollars will take care of themselves. We certainly find this to be true. If you cut down on the little expenditures that often slip by without our noticing them, it’s surprising what a big saving they can add up to over time. We do stock up our pantry, especially during harvest season and often have what seems a lot of food on hand for just two people but at least twice a year, for at least a month at a time, we eat from our freezer and pantry almost exclusively. This helps to ensure that our pantry stock gets rotated and gives us a lovely spending “vacation” as well. Vehicle expenses can really impact a budget too. We purposely chose our current home to be within walking distance of most of our day-to-day necessities. We try to walk wherever we can, and -rather than own a second vehicle- we purchase a transit pass for my (retired) husband. We switched our home phone to Net-Tel (VOiP) using our internet. The initial cost is $79.99 which includes the first year and after that the yearly cost is $39.99. Net-Tel includes enhanced 911 (unlike some of the other low cost VOiP’s) which means that if you do have to use 911, the operators have access to your address automatically. One of the reasons we stayed with a home phone rather than going to cell only is because of our son, who we felt needed to have a home phone in case of an emergency in the house or if we have babysitter’s that need the phone for emergencies (etc.) This yearly cost includes long distance to anywhere in North America….I used our Sears Points to make the initial purchase so it was FREE. Our basic home phone (even in a bundle with internet and long distance) was $40 a month so in year two and beyond we are saving a minimum of $440 a year. Over the first 2 years we will save $920 since we purchased it using points. You do need to change your phone number with Net-Tel which is actually a positive as well since we do not give this number out as our contact number (we use our cell’s) so we get 0 telemarketers calling now! Two of our neighbours have recently switched after we told them about it with no issues at all. I’m interested in hearing more about Net-Tel; right now we have our internet, cell phone (hubby’s) and home phone bundled. I’ll have to do some research to find out if we would save $$ by switching the home phone to Net-Tel. I don’t think I can convince hubby to get rid of the cell phone. We have an arrangement with our sallelite TV so it costs us about $35/month. I’ve never heard of Net-tel before Pam but maybe one of our readers can share some info with us. Is that a telephone that uses the internet? Net-tel is telephone over your Internet (voice over Internet provider or VOIP). Pam, it might be worth asking your current vendor the price without home phone bundled and then factor the cost over the year plus Net-tel price to see if you save $. It never hurts to ask. We called our satellite TV company and asked what they could do for us as long time customers, we got $10 off per month for 2 years. The 10 minutes on the phone was definitely worth the $240 savings! Thanks for sharing my post with your fans, Mr. CBB! Really appreciate that. In terms of a budget, I think I was my own worst enemy. I used Mint.com but allocated way too much for food and entertainment. It was always fun, but I never saw the real progress I wanted. Set aggressive targets and stick to them! It’ll pay off big time in the end. h, you are most welcome. There are many online budgets people can try and I certainly do suggest that. There are no magic perfect budgets out there unless you custom make one for yourself. With ours it will be in excel so the user can customize it how they see fit and I’ve added in coupons and gift cards and more detailed info. It helps us save and it has the past few years. We’ve simply been tweaking it so others can use it. If they test it and love it , great if not there are many others out there. 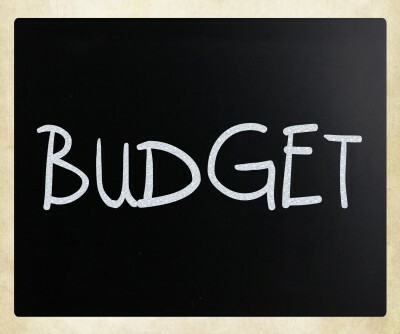 It’s not a race to see who makes the best budget its a race to see who will simply use a budget, any budget. Canadians are falling further into debt every day and need to wake up and take control of their finances or one day they may face the inevitable. I enjoy helping my fans ( I call them my team mates) and motivate them, I don’t care where they get it but hope they dig mine! We have recently started using the envelope method of budgeting. Too early to say how its working for us but finding it sure can help limit your spending which is something we needed. I have been trying to use up some of the things in the house that I find have been sitting her for food and other grocery type items as well as selling anything we do not need. I also think shortly we will be cutting down our cable to something more affordable. I currently get a discount through my work but may be changing jobs where I will lose that discount. With summer here I do not think we will miss it too much. We have been looking at all options included in your blog to save us money as I will be returning to work after mat leave and with the cost of child care it will take alot out of our budget but will at the same time bring us in the extra money we need just to do our regualr living. Thanks for all the information you provide it helps for especially those of us just trying to figure out how to budget. Thanks for your comment April. It can be very overwhelming for people who have never been on a budget. What I try to stress is we should be on a budget from day 1. We need to be taught this is the way we need to manage our finances or risk carrying a huge load of consumer debt and for what, immediate gratification most times. Great post. I have used some of these ideas in the past just to make ends meet. Now that I am starting fresh with a new financial journey I was looking for ways to add to the $25 I am able to budget for the emergency savings. I am working on going back over my budget to see where I can tighten it up to get a little more each month to put into the emergency saving. Right now I am looking at my cell phone and if I really need it or not. It is $25 a month and I don’t use it alot but have in emergencies. I am also looking at the couponing thing to bring down the grocery budget. I agree that stockpilling is somethingn to watch out for. Having some product available is good but too much and it might defeat the purpose. Keep the awesome and informative information coming. We started looking for free entertainment in our area so we could cut down on our “recreation” budget. Our local symphony does free concerts in the park, we have tons of parks for hiking, we’ve tried geocaching. There are lots of creative ways to save and still have fun. It’s somewhat like treasure hunting but using a GPS in off road mode instead of a treasure map. This is the official site: http://www.geocaching.com/. It adds a fun twist to a hike.